Harness the power of artificial intelligence with CYR3CON's unique, hacker-centric approach to predicting and preventing cyber attacks. CYR3CON technology combines advanced machine learning with automatically mined hacker community data to provide proactive, actionable cyber threat intelligence. The CYR3CON approach is unique in the cyber security landscape - improvements to the speed and quality of data collected supported by the analysis executed by machine learning identifies and prioritizes potential threats. CYR3CON solutions are designed to empower network defenders with actionable intelligence before cyber attacks occur. Automated capture and analysis of hacker community data that fuels our algorithms predicts real threats and vulnerabilities with sufficient warning to allow cyber security professionals to prioritize appropriate action. Deploy company assets efficiently and reduce risk. The combination of the automated collection of hacker community data that spans over 500 different sources with advanced machine learning delivers actionable information you can use to protect your assets today. Threat assessments are ranked and delivered with prioritization to reduce risk. You will know, now, the most likely threats against your enterprise. Focus on the active threat actors + the right data to accurately predict which vulnerabilities will be exploited - before the attack happens. Scan hacker community data from over 500 different sources for current or emerging actionable threats. CYR3CON's approach to cyber security drives results that are recognized internationally by leading publications. "Forewarned, those who had been using CYR3CON's service could take precautions. Others were not so fortunate." The Economist Read the full article. "An entirely new approach...their new system is off to an impressive start." MIT Technology Review Read the full article. Forbes Read the full article. 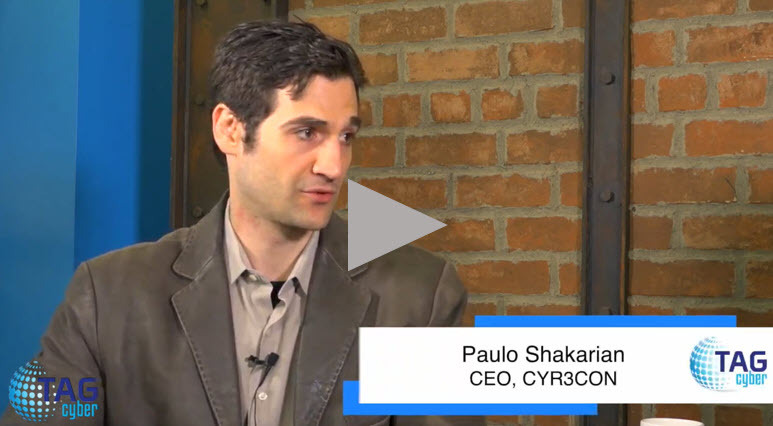 Watch and listen as Paulo walks us through why the CYR3CON solution is so valuable to organizations facing cyber security threats and how artificial intelligence is changing how leading cyber security professionals approach threat management. CYR3CON partners with industry leaders to provide proactive threat intelligence programs that complete security portfolios. Contact us to discuss how we can work together to augment your existing services or expand your portfolio to help prevent cyber crime. Take the next step to be in the know, now. Complete the form and a member of the CYR3CON team will contact you shortly to discuss your cyber security needs.